It was a pleasant surprise to go along to Dudley Zoo and Castle on Easter Sunday and not experience any queues or delays. Maybe Easter Sunday is quieter than the other days of the weekend, or perhaps the bad weather on the Saturday had put people off going out so the attendance wasn’t quite as many as expected, but I think most of the credit goes to the staff at the zoo for the way that they had clearly geared up for a busy weekend. In our visit we didn’t get stuck in any queues of have any bad experience at all. 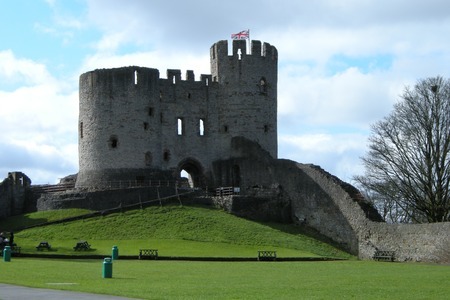 I’ve already posted a review of Dudley Castle – including facilities for babies and toddlers, so this time I’m just going to look at some of the things that they’d done to make the Easter weekend so successful. We got onto the land train which was still quiet because it was so early. We did use the land train later in the day and didn’t have any problems, although space for pushchairs was limited. In our case we benefited by folding the pushchair up so it took up less space as there is only space for 3 or 4 unfolded pushchairs at the most. We went into the castle to be told that there was an egg and spoon race followed by a creature encounter and Easter egg painting activity, which was included with no additional charge. Including a chance to get close to the animals in this session was a great idea, as although it was shorter than the zoo’s normal creature encounter it was enough for us and would have helped reduce the number of people at the regular session. We only saw one of the announced feeding sessions which wasn’t too busy. There are so many events at the zoo and such a lot of exhibits that it’s impossible to attend everything which means that not everyone wants to see all the activities. 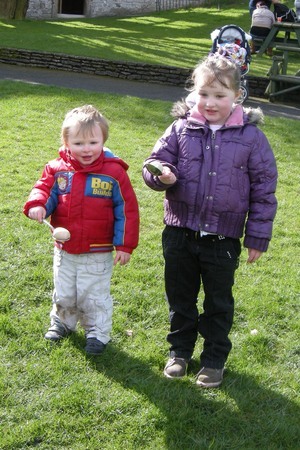 There was also an Easter Egg trail with a chance to enter to win a free return visit. The trail was pretty good, but it’s a shame there wasn’t a prize for everyone that completed it. A well done certificate would have been enough to make it a bit more special for our daughter. This is a very minor thing though as the rest of the visit was really good. It’s good to see that with a bit of planning some places can handle increased numbers of visitors without resulting in long queues. 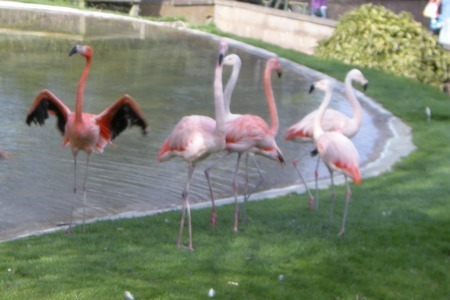 Dudley Zoo clearly has experience in this and it shows. This entry was posted on Monday, April 5th, 2010 and is filed under Babies, Children, Days Out, Tourism. You can follow any responses to this entry through the RSS 2.0 feed. Both comments and pings are currently closed.